Light up smoke-filled or hazardous work environments with the Performance Intrinsic Tasker Headlamp from FoxFury. 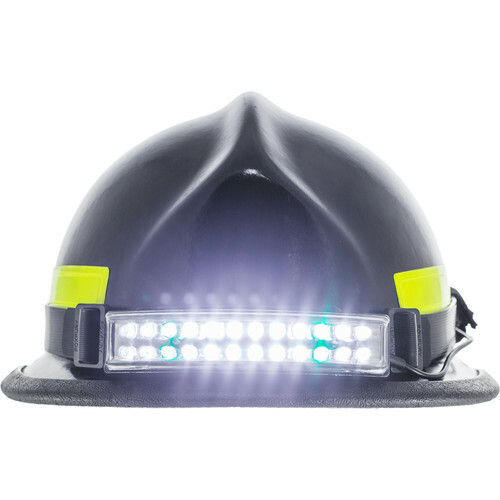 Designed with a fire helmet fit, this curved headlamp shines in a panoramic configuration for wider coverage. Four of the lamp's 24 LEDs are green for better depth perception and color rendition.